P-Bandai is releasing its first exclusive original real grade kit in the form of the RG Gundam Astraea Type - F! 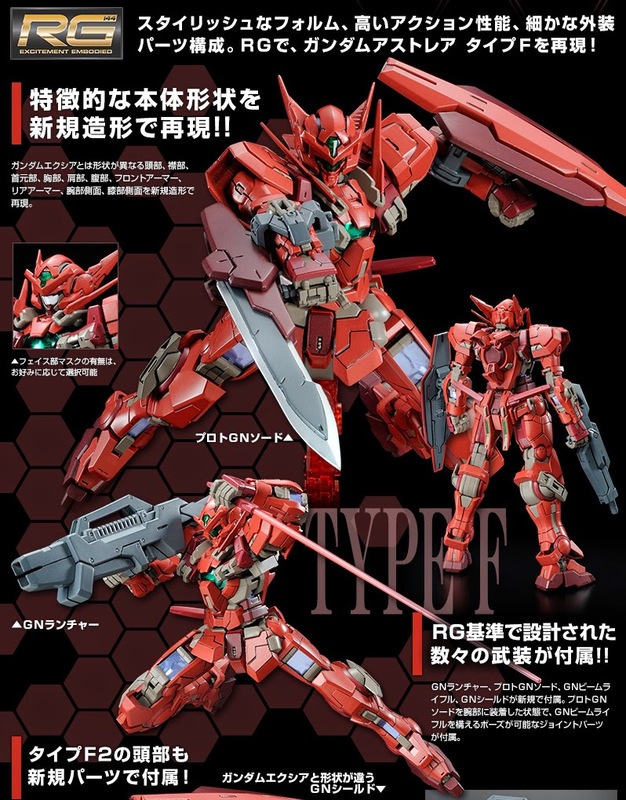 This kit combines the necessary parts from the RG Gundam Exia with the upcoming RG Astraea expansion parts in a new red color scheme. The kit includes weapons cast in the Astraea's colors and is compatible with weapons from the HG Gundam Astraea.